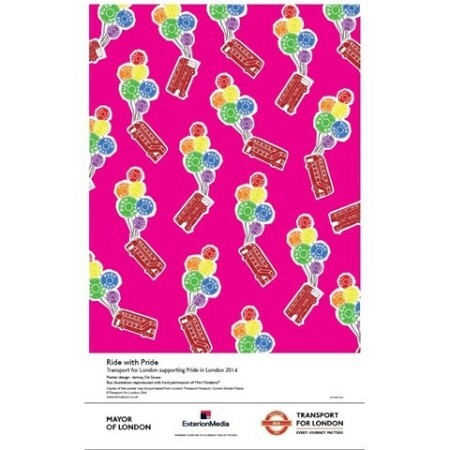 One of the two posters commissioned by Transport for London to celebrate Gay Pride 2014. It shows buses hanging from bunches of colourful balloons that read 'push once', on an orange background. The bus illustration has been adapted from the Year of the Bus Celebrations poster designed by Mini Moderns.